Jeffrey M. Vincent, PhD is a director and cofounder of the Center for Cities & Schools (CC&S) at the University of California, Berkeley. Jeff has a PhD in City and Regional Planning from Berkeley. His policy and research interests lie at the intersection of land use planning, community development, and educational improvement, with a particular focus on how school facilities serve as educational and neighborhood assets. Jeff has researched and written extensively on a variety of issues, including school infrastructure planning, school siting and design, sustainable communities, community development, educational economics, housing policy, state school construction policies, joint use of schools, youth engagement in redevelopment, refugee resettlement, and transportation policy. His research and policy writing has been published in peer-reviewed and practitioner-oriented journals, books, and other outlets. Jeff is an applied and policy-focused academic looking for solutions to some of our societies most vexing problems around social inequities. His work embodies two key innovations in thinking and acting. First, finding policy answers requires new modes of scholarship that draw on a variety of quantitative and qualitative methods. Second, it requires collaborative work between the too-often-siloed public, nonprofit, and private sectors. 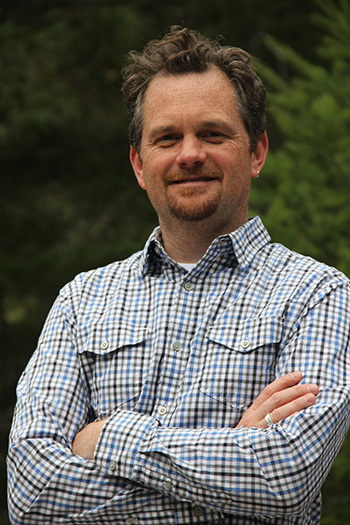 Much of Jeff’s work involves “engaged scholarship,” done for and in partnership with public agencies, nonprofit organizations and others with public interests in mind. His research is used to inform collaborative policy at multiple levels of government that is principle-driven and provides transparency, fairness, and accountability. Jeff is an instructor and graduate student mentor in our PLUS Fellows program. "School Siting and Walkability: Experience and Policy Implications in California." With Ruth Miller and Lianne Dillon. (2017) California Journal of Politics and Policy, 9(3). “Joint Use of Public Schools: A Framework for Promoting Healthy Communities.” (June 2014) Journal of Planning Education and Research 34(2): 153-168. “Putting Schools on the Map: Linking Transit-Oriented Development, Households with Children, and Schools.” With Ariel H. Bierbaum. (2013) Transportation Research Record 2357: 77-85. “Public Schools as Public Infrastructure: Schools, Community, and Land Use Planning.” In Infrastructure Planning and Finance: A Guide for Local Officials, edited by Vicki Elmer and Adam Leigland. Point Arena, CA: Solano Press Books, 2013. “Trajectories of Opportunity for Young Men and Boys of Color: Built Environment Strategies for Creating Equitable, Healthy, and Sustainable Communities,” with Deborah L. McKoy and Ariel H. Bierbaum. In Building Healthy Communities: Improving Education, Social, and Economic Outcomes for Young Men and Boys of Color, edited by Christopher Edley and Jorge Ruiz de Velasco. University of California Press, 2010. “School Construction Investments and Smart Growth in Two High-Growth States: Implications for Social Equity,” with Mary W. Filardo. In School Siting and Healthy Communities: Why Where We Invest in School Facilities Matters, edited by Rebecca Miles. Michigan State University Press, 2011. “The Impact of State Regulations on the Costs of Public School Construction,” with Paavo Monkonnen. Journal of Education Finance 35(4): 313–330, 2010. “Building Schools, Rethinking Quality? Early Lessons from Los Angeles,” with Bruce Fuller, Luke Dauter, Adrienne Hosek, Greta Kirschenbam, and Deborah L. McKoy. Journal of Educational Administration 47(3): 336-349, 2009. “Housing and Education: The Inextricable Link,” with Deborah McKoy. In Segregation: the Rising Costs for America, edited by James H. Carr and Nandinee Kutty. London: Routledge, 2008. “Assessing Coordination of Legal-Based Efforts Across Jurisdictions and Sectors for Obesity Prevention and Control,” with Aviva Must, Gary Bennett, Christina Economos, Elizabeth Goodman, Joseph Schilling, Lisa Quintiliani, Sara Rosenbaum, and Marice Ashe. Journal of Law, Medicine and Ethics, Special Supplement to Volume 32(2): 90-98, 2009. “Engaging Schools in Urban Revitalization: The YPLAN (Youth – Plan, Learn, Act, Now! ),” with Deborah L. McKoy. Journal of Planning Education and Research 26: 389-403, 2007. “Public Schools as Public Infrastructure: Roles for Planning Researchers.” Journal of Planning Education and Research 25(4): 433-437, 2006.